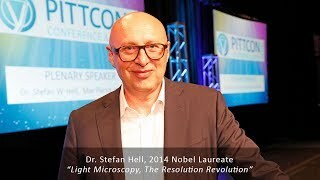 Stefan Hell: Light Microscopy, The Resolution Revolution Dr. Stefan Hell, Director at the Max Planck Institute for Biophysical Chemistry in Göttingen and Director at the Max Planck Institute for Medical Research in Heidelberg, gave the Plenary Lecture at Pittcon 2018. 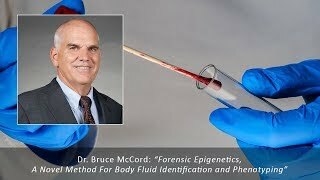 Bruce McCord: Forensic Epigenetics, A Novel Method For Body Fluid Identification and Phenotyping View the session of Dr. Bruce McCord, a professor in the Department of Chemistry and Biochemistry, and a faculty member in the International Forensic Research Institute (IFRI), from Pittcon 2018. 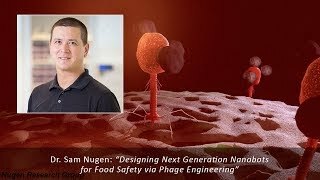 Sam Nugen: Designing Next Generation Nanobots for Food Safety via Phage Engineering View the session of Dr. Sam Nugen, Associate Professor, Department of Food Science, Cornell University, from Pittcon 2018. 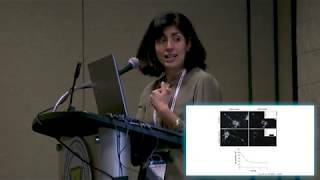 Parastoo Hashemi Presents Eavesdropping on the Brain Malfunctions of the brain's serotonin system are thought to underlie the symptoms of depression, primarily because antidepressants that target the serotonin transporters show some clinical success. We model the experimental data and offer mechanistic insights into how histamine and serotonin modulate one another in health and disease and this leads us to hypothesize why antidepressants are not universally effective. The data afforded by our chemical tools has the capacity to profoundly improve therapeutic strategies towards depression by shedding light on another important player. 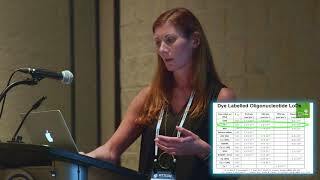 Karen Faulds Presents Multiplexed and Sensitive Bioanalysis Using SERS Surface enhanced Raman scattering (SERS) is an analytical technique with several advantages over competitive techniques in terms of improved sensitivity and multiplexing. Here we demonstrate the development functionalized nanoparticles as sensing materials for the detection of bacteria and proteins at ultra-low levels. We achieve this by combining functionalized silver or gold nanoparticles with SERS. This combination can result in extremely sensitive and selective bio sensing with unprecedented multiplexing capabilities. 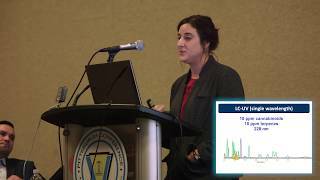 Julie Kowalski presents "Reassessing Potency Analysis" Analysis of cannabinoids is critical to the cannabis industry for product labeling and because product value is often based primarily on potency values. This work takes advantage of the selectivity of liquid chromatography- tandem mass spectrometry, LC-MS/MS, to quantify cannabinoids in a variety of cannabis matrices.